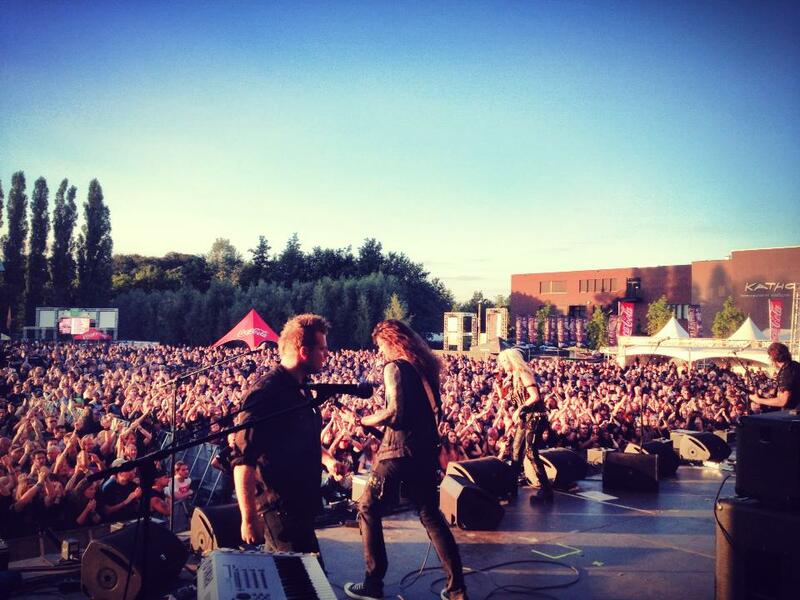 After an amazing Summer and year playing shows and festivals all over the world with Doro, I am finally home. The memories I’ve made and experiences I’ve had this year are completely unparalleled in my life and I want to thank the entire Doro family for bringing me on such a wild ride. From Europe, to Russia, to all the incredible festivals, and of course, Wacken, I can’t even believe what I’ve just been a part of. I can’t wait to get back to it in October and beyond. But for the time being, I’m very happy to be home in the US and setting my sights on some projects that have truly needed some love while I’ve been away. Mainly, I’m very happy to announce that I am finally back at work on the new Earth Minor album, which is significantly closer to being finished than I’d realized, so you can look for a release some time in early 2014. Stay up to date on the release at http://www.earthminor.com and at our Facebook page. And stay tuned for lots of pictures and videos from my travels, coming soon to this site. Two Local NYC Summer Shows Only! New Album = New Updates!